Being a quality-conscious firm, we are offering nothing short of the best quality products from Mumbai(India). We, along with our packaging professionals, ensure that the range of products meets current requirements, for that reason we make use only qualitative packaging material, procured from the renowned vendors. Precise structured design, with high speed rotating friction theorem to enable parts to weld together. According to different product sizes and material, the machine specification can be modified. Strong welding strength for absolutely waterproof and airtight products. Structured design to tally with ergonomics, easy opertaion, stable quality. 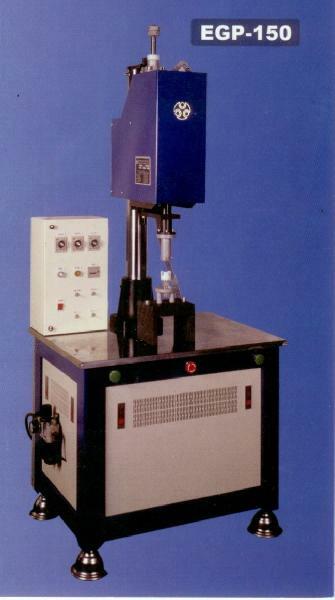 The special fixed position spin welding machine can be designed according to differnt product requirements. Floater, Paint tank, Spherical toy, PP thermos cup, Oil filter (motor bike), Spray connector, thermo bottle.